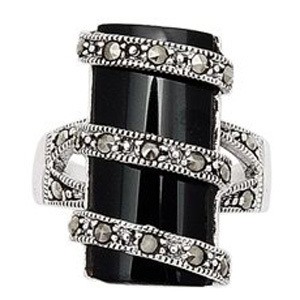 Marcasite jewelry is a beautiful display of vintage glamour from a bygone era. It evokes reminders of Art Deco jewelry and just flat out glamour. 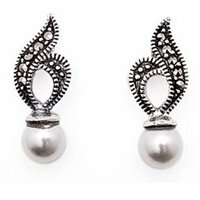 In order to preserve your 925 sterling silver Marcasite jewellery, we at Deco Belle have written the following article to keep your Marcasite rings, Marcasite earrings, pendants, bracelets, and necklaces looking gorgeous. Marcasite stones can fall out of their settings if not cared for properly by avoiding exposure to water and high impacts such as dropping them on counters and such. 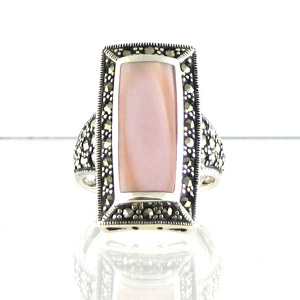 This is because Marcasite is usually bonded to its setting with a special glue instead of with prongs (as would be used in diamonds and larger gemstones). The very nature of Marcasite (iron pyrite) with small stones, make it difficult to set in prongs. Over time, especially due to water exposure, the bonding agent may weaken. 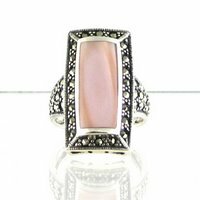 For this very reason it is important to remove Marcasite jewelry every time there would be water exposure that could cause the jewelry to become wet, such as removing the jewelry before showering, washing dishes, swimming, entering a hot tub or taking part in any other activity that could cause it to be submerged in water. 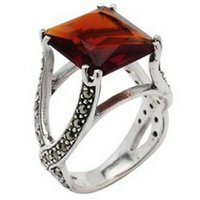 High heat can also cause the Marcasite stones to become loose and should be avoided. This type of jewelry should never be cleaned in an ultra sonic jewelry cleaner as the stones may easily become loose. Instead, Deco Belle suggests carefully cleaning Marcasite jewelry with a soft, jewelry cleaning cloth, being careful to not loosen the small Marcasite stones. Find our silver cleaning cloths in the accessories section of our website. We at Deco Belle hope that this article can help you preserve your glamorous Marcasite jewels as best as possible.